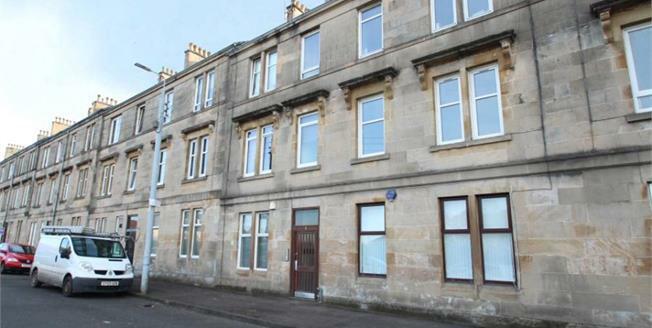 Well presented, one bedroom, traditional sandstone, ground floor apartment located within this popular Clydebank pocket. The property would suit young and old alike and also the buy to let market. The accommodation comprises spacious entrance hall with large storage cupboard, front facing lounge, internal kitchen with wall and floor mounted units, fitted oven, electric hob, stainless steel sink and tiled walls. The double bedroom is rear facing. Off the hall a shower room with wash hand basin, WC and shower cubicle with a mains shower. Other features include Gas Central Heating, Double Glazing and communal gardens.